MPAA Rating: PG for thematic elements including a brawl. Hand-painted artwork from the film accompanies closing credits. Running time: 105 minutes. Released by 20th Century Fox. 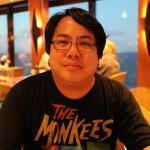 Years ago, a friend would always end our Foosball games with something he called the G.E.C.P. – the “game-ending crowd pleaser.” With lots of ballyhoo and without fail, he’d sink the shot at impossible speed, the ball thunking into the goal with a louder resonance than the other goals. I was often on the receiving end of the G.E.C.P., but I couldn’t help but smile and have fun with it. 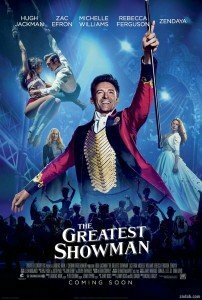 2017’s film season comes to an end with the cinematic version of the G.E.C.P., The Greatest Showman, and what a deliriously glorious crowd-pleaser it is. 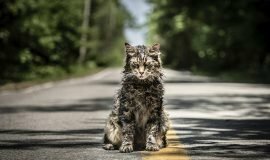 It’s one of those films which goes out of its way to avoid sour tastes and doesn’t sport a spiteful bone in its body, even though its subject matter bears tremendous weight in its themes. The film is sweet without being treacly, with director Michael Gracey making the most of the thin line between touching and saccharine. Jenny Bicks and Bill Condon’s never-a-dull-moment screenplay and toe-tapping, head-bobbing tunes by La La Land songwriters Benj Pasek and Justin Paul give this rags-to-riches story power for days. The soundtrack, which I bought immediately following the screening, is on my CD player (yes, I still believe in CDs) as I write this, bringing to mind the flashy moves which both Seamus McGarvey’s cinematography and the cast execute to draw us into this film. Of course, it’s all for nothing without a cast capable of essentially being the film’s cheerleaders, making you buy into every scene and every note given punchy accentuation by exuberant choreography. 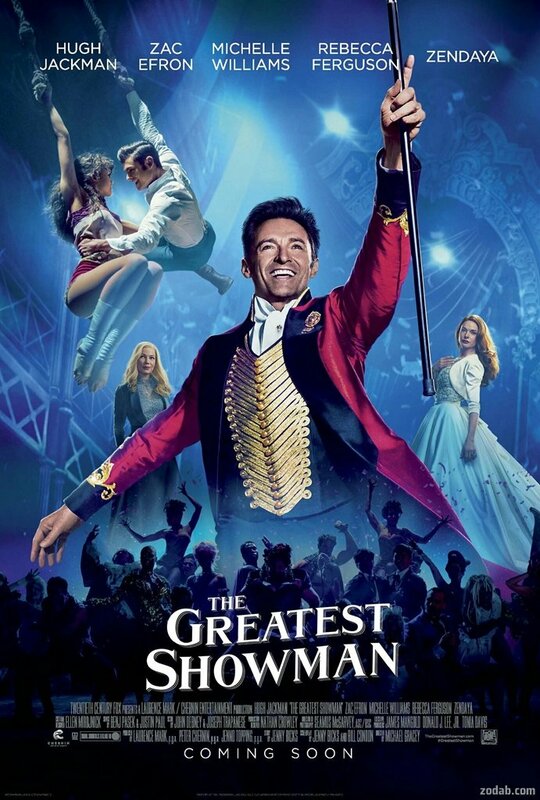 We’re immediately blasted with it as the film opens behind the bleachers of a circus tent with the raucous stomper “The Greatest Show.” The camera descends upon Hugh Jackman as carnival huckster P.T. Barnum flashing his best Michael Jackson-style moves before exploding into the center ring. I’ve been going to the Ringling Brothers/Barnum and Bailey Circus with my family on each stop near D.C. since my kids were born starting in 2010, and we attended one of its final shows this year. The opening reminds me of the songs heard at the beginning and end of these shows, designed to excite and entice, and “The Greatest Show” nails this mood immediately. It’s a fist-raising, slam-bang of an introduction to Barnum’s world, dissolving into his childhood and eventual working life. The ever-charismatic Jackman takes our hand and leads us through the film with his usual aplomb, striding through the frame with purpose. He gives Barnum charm and a playful arrogance which makes us fall in love with him almost instantly. Similar to his Jean Valjean in Les Miserables, his singing voice features a fair share of Auto-tune, but the performance and gusto with which he delivers his vocals more than make up for this slight transgression. He is the centerpiece of the film, jumping through hoops and playing a bit of a slippery eel as he tries to protect and provide for everyone around him. 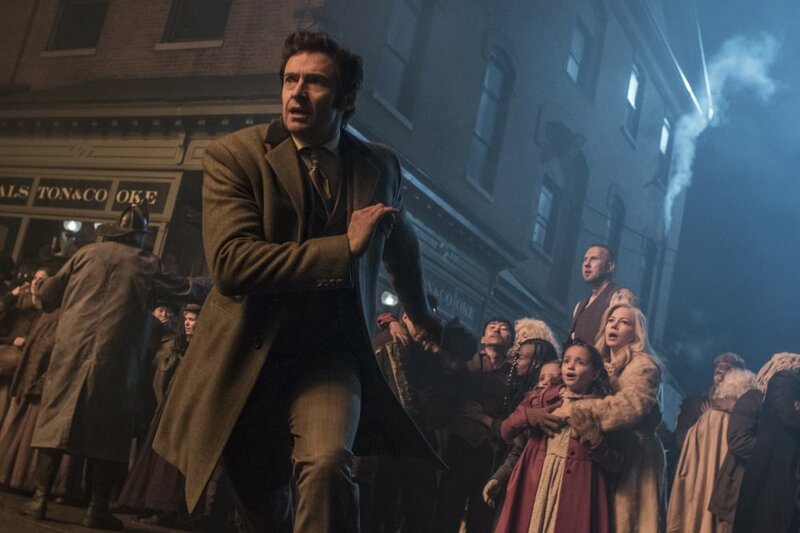 Throughout the film, we’re given the genesis of Barnum’s dreams and the world he establishes for himself and the “oddities” he employs. Obviously, the real story is buried underneath the film’s oversimplified treatment of Barnum and his associates, with shady deals and seamier aspects of the business – and life itself – dismissed in favor of a streamlined, family-friendly picture. 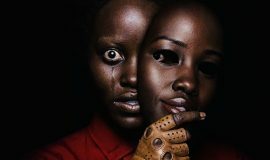 It’s a characteristic I’m willing to forgive, as the film’s not here for that; its goal is simply to capture the feeling of being wowed by an energetic, flavorful spectacle. The music, which ranges from synth-driven power-pop to a piano waltz, is a certain anachronism not easily reconciled to the timeframe set forth by the story. 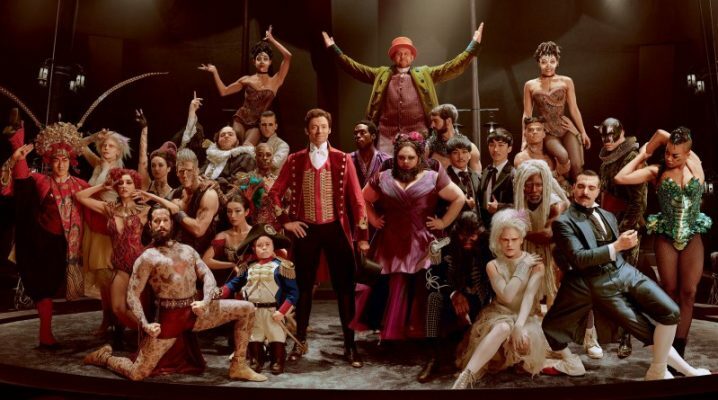 However, this Moulin Rouge!-type of marriage between the old and new works seamlessly for Barnum’s purposes, as we’re thrust by these driving songs into each new scene. At the center of this multiple-ring circus is Barnum himself, literally and figuratively being ringmaster of all before him. Desperate to find a way to care for his family after losing his job, he cons his way into owning property in which he builds P.T. Barnum’s Grand Scientific and Musical Theater, a museum and performance space dedicated to the irregular and unusual. He sings, “A million dreams is what it’s gonna take / a million dreams for the world we’re gonna make,” and he populates his world with the staples of his future circus acts. Among them, we find Charles Stratton, a.k.a. General Tom Thumb (Sam Humphrey), bearded songstress Lettie Lutz (Keala Settle), and sibling trapeze duo Anne (Zendaya) and W.D. Wheeler (Yahya Abdul-Mateen II), characters who propel Barnum’s transformation into his role as the Circus King. 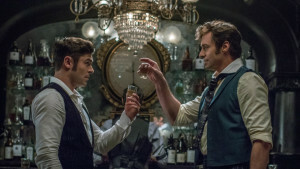 With the help of boozing Broadway financier Philip Carlyle (Zac Efron), Barnum and his performers achieve notoriety and accolades alike, with romantic sparks flying in between. 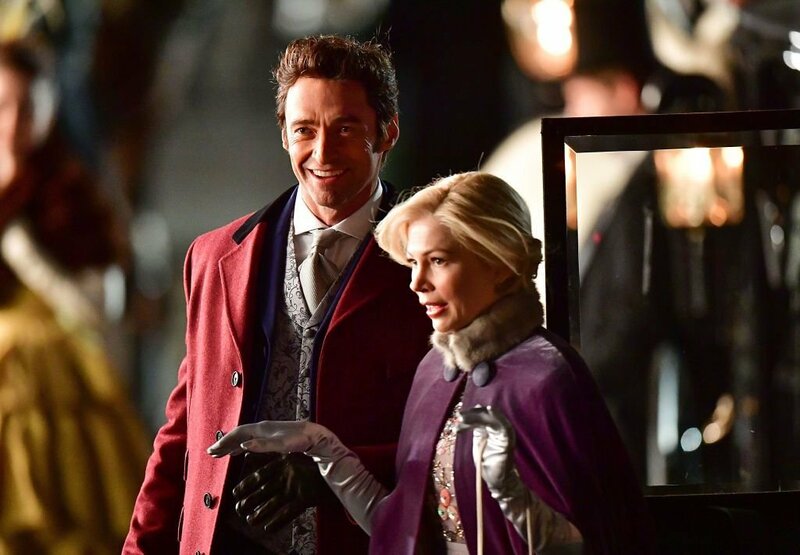 However, he leaves wife Charity (Michelle Williams) and daughters Caroline (Austyn Johnson) and Helen (Cameron Seely) hanging in the wings on his quest for respect and recognition, something he’ll never get with a stable full of weirdos. Through it all, his family stands by as they watch Barnum strive for the highest heights like a man possessed, promising thrills and grandeur to anyone who pays admission. The public backlash is almost immediate, almost becoming the modern-day protests which shut the Ringing Brothers/Barnum & Bailey Circus down in real life. Yet these protests aren’t about the mistreatment of animals; they’re aimed directly at the circus performers for being against the laws of man. Racism rears its ugly head due to the Wheelers’ presence in the show – and Anne’s presence in Philip’s life. Gracey never lets the story get too far-flung or out of control, keeping us grounded via scenes with Barnum and his family and the burgeoning romance between Philip and Anne. Most of the time, there’s a song waiting to happen at the drop of a hat; at times, I caught myself thinking, “Oh, look, they’re going to sing again, said Jack’s total lack of surprise.” But thankfully, what would follow my idiotic thought is showstopper after showstopper, every song a triumphant anthem which builds off the previous song’s momentum. 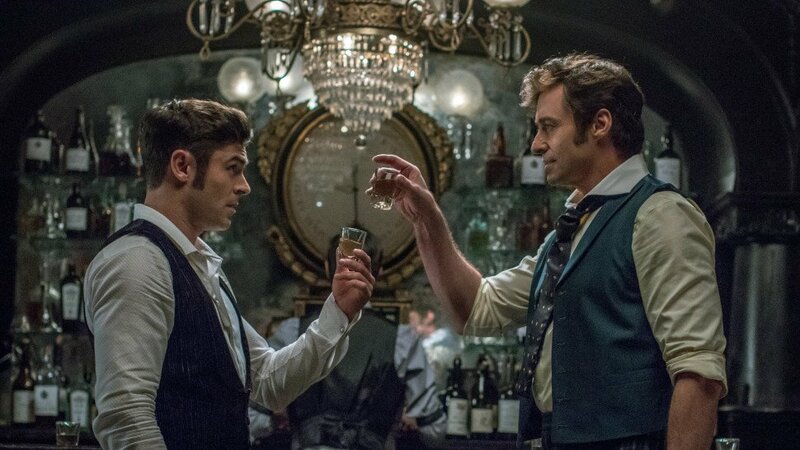 The Greatest Showman isn’t trying to reinvent the wheel. With good old-fashioned gusto, moxie, and – let’s face it – showmanship, the film doesn’t waste any time in trying to hook you with its delights and enthusiasm. Michael Gracey manages to pack the thrills of a full circus, complete with its high-flying acts and the lulls in between into this dizzyingly exciting adventure. It’s a fantastic film to close out 2017, sending you on your way out of the theater with a song in your hearts and a spring in your step.